No 263. 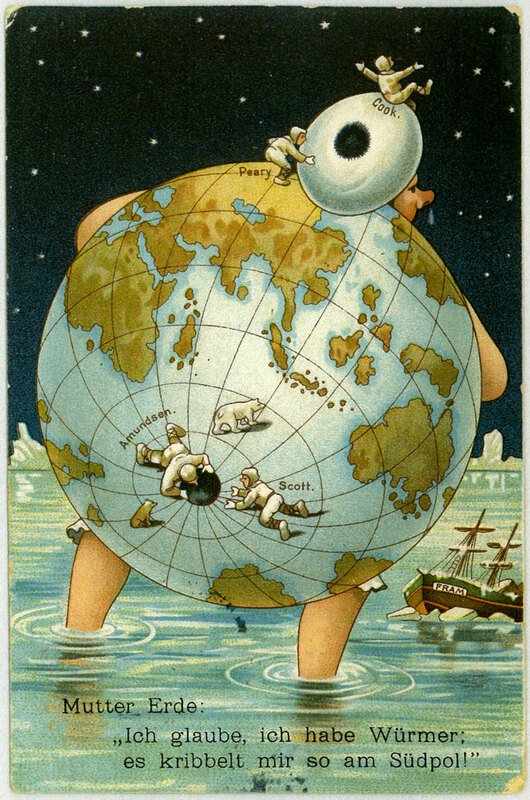 A German postcard that was posted in Berlin on June 27, 1913. Scott and Amundsen are seen at the South Pole, and Cook and Peary at the North. Note the polar bear. Verso unknown.